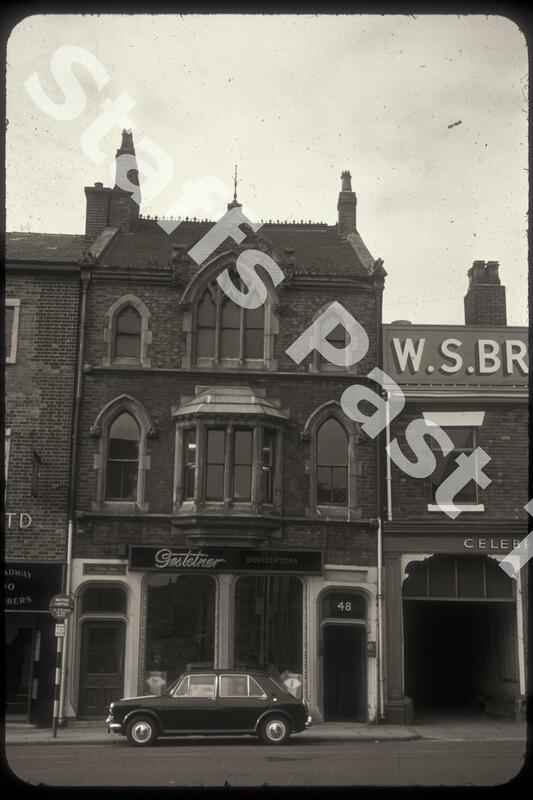 Description:In the 1960s, number 48 Broad Street was occupied by Gestetner, a company that manufactured duplication and reproducing machines in the days before photocopiers. Gestetnering involved making a stencil using a thin sheet of paper covered with wax and a stylus that cut the stencil. The building was occupied in the late 1800s by Bernard Emery, an music dealer and Professor of Music. 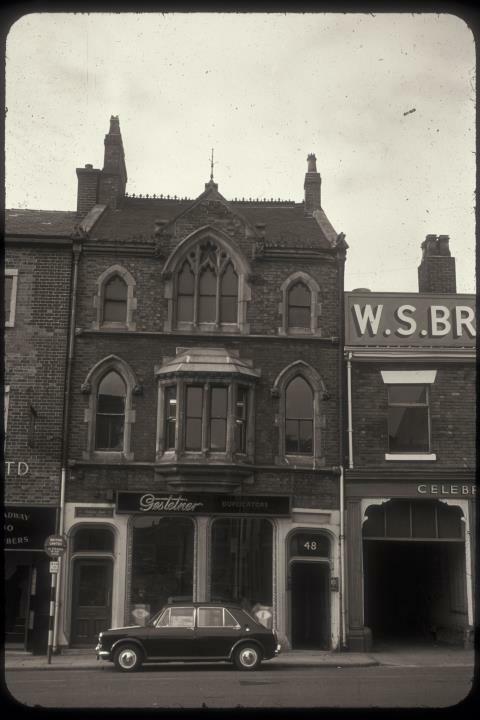 More recently the building has become a solicitor's offices. Next door on the right was W S Brown, pork and bacon curers.